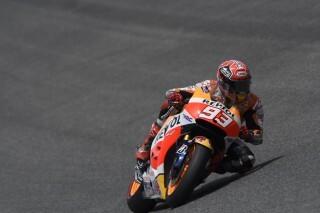 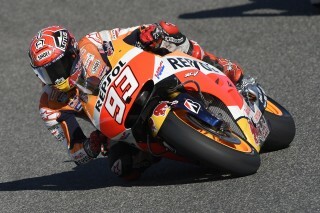 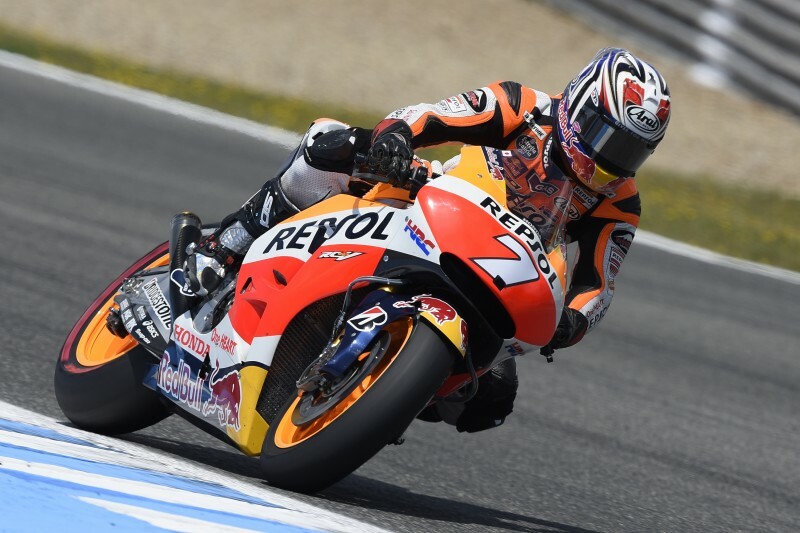 Despite riding with a broken left little finger, Repsol Honda’s Marc Marquez has had an optimistic first day in the GP of Spain finishing third in the combined times with teammate Hiroshi Aoyama placing 20th. 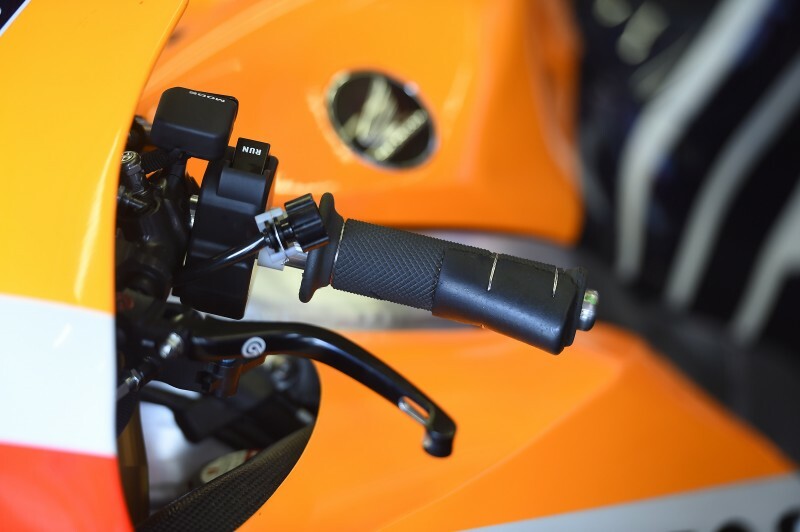 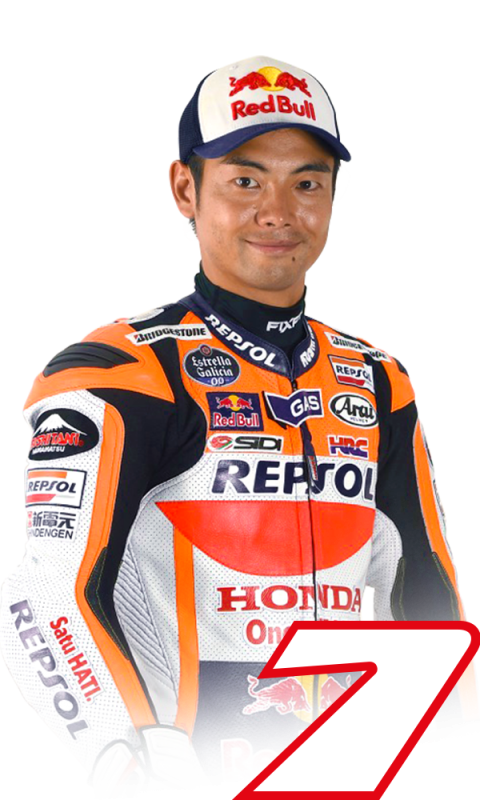 Teammate Hiroshi took his time reacquainting himself with Dani Pedrosa’s RC213V machine. 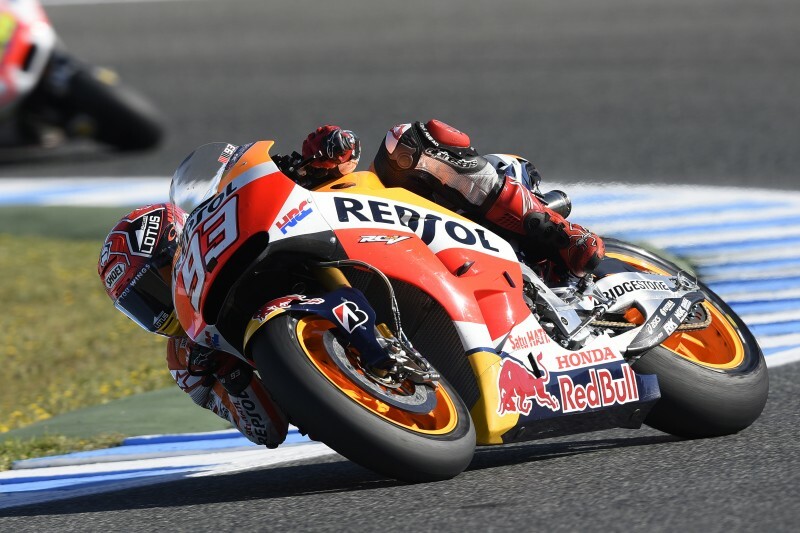 He consistently improved throughout the day and also improved by half a second from this morning’s FP1 with his time of 1’40.678 (lap 16/18) placing him twentieth on this first day. 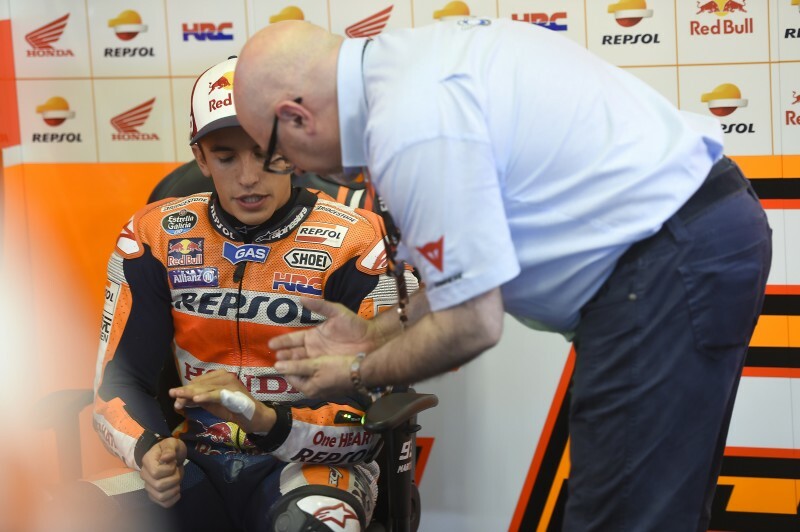 "We can be happy that my hand has responded quite well today - as well as could be expected. It hurts a lot but at least I can put in the laps. 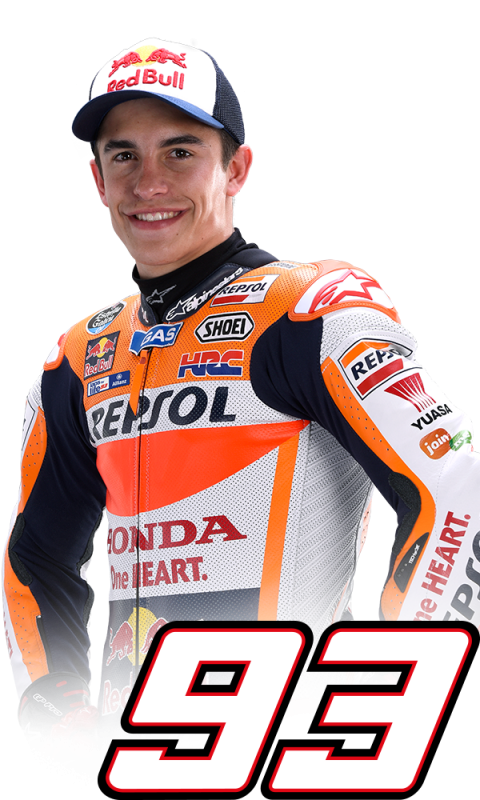 We’ll see if tomorrow it is better if it doesn’t swell up. 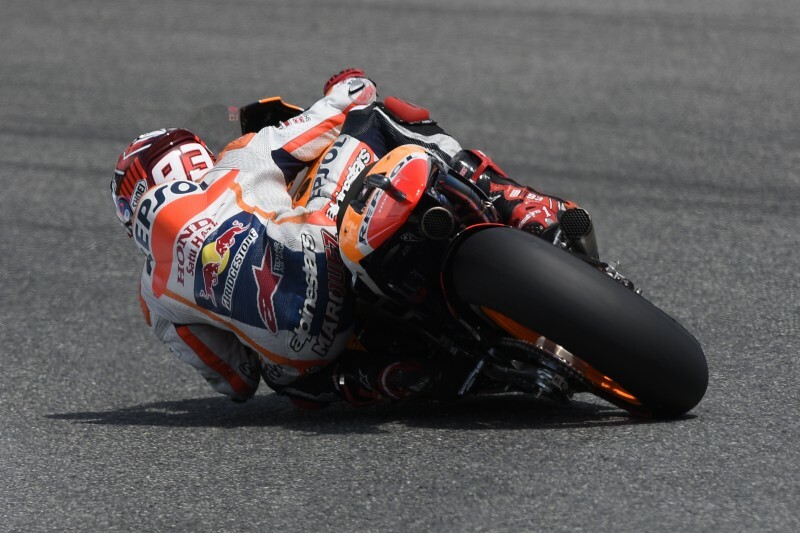 As for the bike, I'm feeling pretty good with it and we are working well, but we need to improve some things - especially in the afternoon - when the track temperature rises. 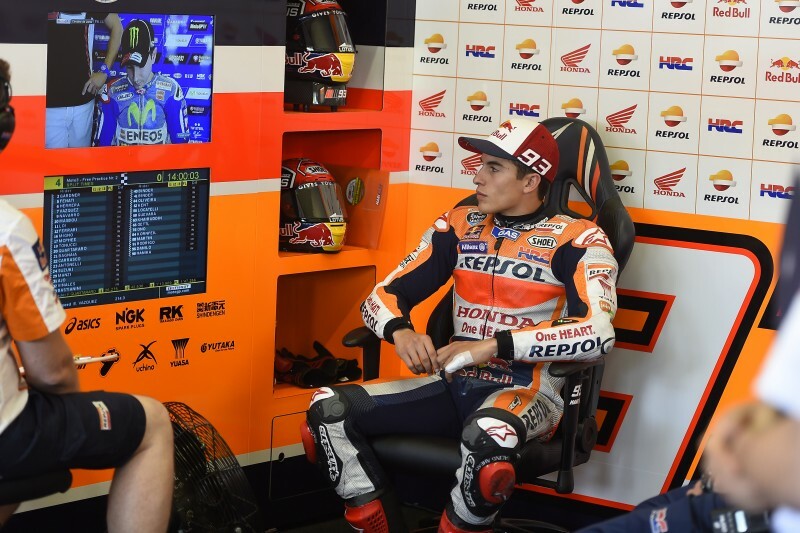 The race will be at this time, so we have to improve the setup accordingly." "Unfortunately Dani wasn’t able to return to racing at his home Grand Prix so I am replacing him again. Compared to the last two races this first day has been positive for us. Obviously we still need to improve but at the end of FP2 I had a better rhythm and was able to be faster but made some small mistakes. 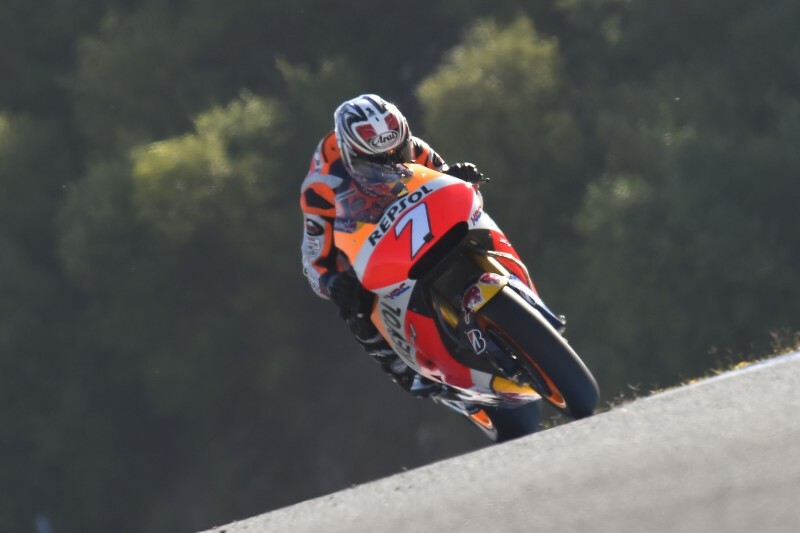 It’s not easy but we must progress further tomorrow as we know all the other riders will also."